Lewis Richmond’s new book, Aging As A Spiritual Practice, illuminates the aging process and how, as we age, we can approach it from a spiritual perspective, where the meaning of life and the purpose of life changes to a more deep and profound connection to life that embraces and accepts all—coming from a place of gratitude, instead of lack and loss of youth, new windows of opportunity appear in the third stage of life. With gratitude and openness, aging can be a wonderful experience, full of possibilities. Richmond, who had survived cancer, suddenly came face-to-face with his own near-fatal illness after being in a coma for two weeks from an unexpected illness, which left him with brain damage that took him several years to recover from. These life challenging experiences, plus watching his own aging, and being a Buddhist priest and meditation teacher enabled him to approach the aging process from a spiritual perspective, where he designed an inner spiritual guide to aging that incorporates mind, body, and spirit—a holistic approach to aging. The fear of aging, loss of identity, and death can take its toll on us, but only if we let it. We can begin to create a new second half of life that is full of wonder, possibilities and purpose. Changing the way that you look at the aging process and the way you live it determines your experience of it. It should be a joyful time of celebration. 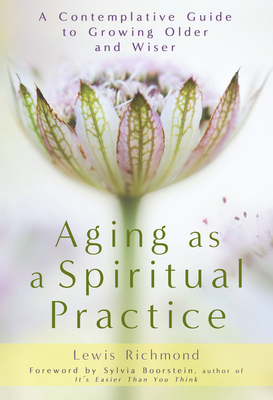 Aging As A Spiritual Practice opens the door to the possibilities and gives you the insight into living a full, purposeful life, while at the same time aging spiritually.